In this white paper, Derek Steinbrenner addresses Cambria’s Critical Behavior Interview (CBI) and fair hiring practice. 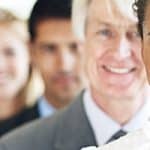 The CBI is a technique that helps organizations hire the best people and has been identified as the method of choice, far surpassing the efficacy and legal defensibility of free-form interviews and many other selection tools. Click here to download the white paper Cambria’s Critical Behavior Interview and Fair Hiring Practice.